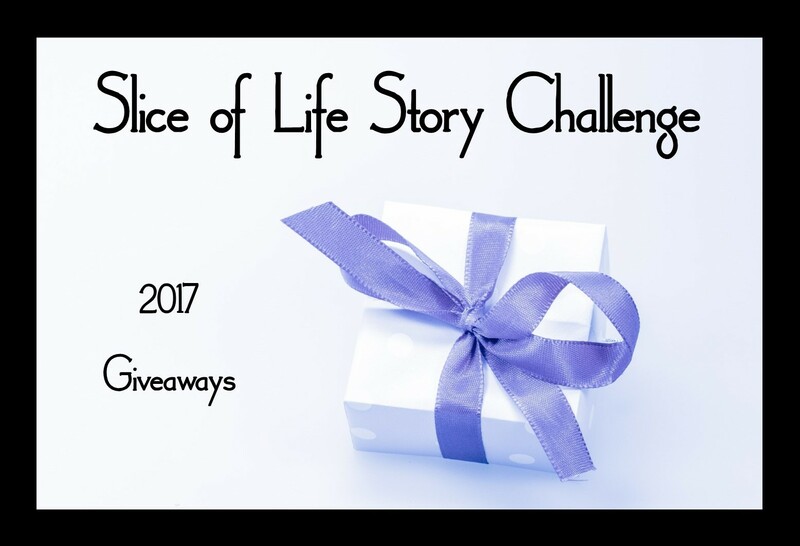 It is my pleasure to announce the 10th Annual Slice of Life Story Challenge prize winners. All participants who signed up for the challenge, completed the challenge faithfully, and signed our Participant Pledge were eligible for a prize. All winners were chosen using a random number generator. Winners, as well as the generous donors will all be contacted via email within the next ten days. Each prize is listed as it was in the reveal post with the winner(s) listed in bold blue. Good luck! Candlewick Press is donating two prize packs of themed books to two winners. The two winners are Diane Anderson and Erin Baker. Charlesbridge Publishing is donating a set of newly released picture books from its collection to one winner. The winner is Rebekah Askeland. Chronicle Books is donating a prize package of four books to one lucky winner. The winner is Bryanna Norman. Heinemann is donating twelve subscriptions to their Digital Campus Reference Library to twelve winners. The twelve winners are Michelle Haseltine, Michelle Brezek, Brittany Butler, Katie Gordon, Jen Beck, Judy Curtiss, Molly Hogan, Katie Diez, Jen Driggers, Jodie Mahoney, Anita Ferreri, and Karen Hasler. Kids Can Press is donating two prize packs to two separate winners. Each winner will receive a pack of ten books by Ashley Spires . The two winners are Dana Murphy and Darlene Andre. Little, Brown Books for Young Readers is donating five prizes to five winners. 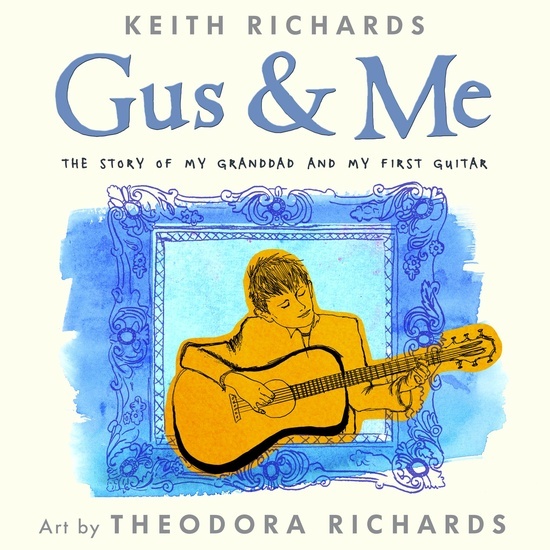 Each winner will receive a copy of Gus and Me, The Story of My Grandad and My First Guitar signed by Keith Richards. The five winners are Meggin Verduzco, Joanne Toft, Amy Warntz, Robin Sheldon, and Brian Rozinsky. Responsive Classroom is donating three book packages to three winners. One winner will receive a copy of The First Six Weeks, The Morning Meeting Book by Carol Davis and Roxann Kriete, and The Power of Our Words by Paula Denton. The winner is Noel Kaczmarczyk. Another winner will receive a copy of The Joyful Classroom, Responsive Classroom for Music, Art, PE, and Other Special Areas, and Energizers. The winner is Shelley Keller. The third winner will receive The Power of Our Words for Middle School, Middle School Motivators, and Refocus and Recharge! 50 Brain Breaks for Middle Schoolers. The winner is Mandy Robek. Scholastic is donating a prize pack of books and exciting materials to one winner. The winner is Joanne Rowe. Simon & Schuster is donating an assortment of young adult novels from their collection to one lucky winner. The winner is Becky Leff. Stenhouse Publishers is donating nine titles to nine winners. The five winners of a three-month online subscription to The Daily Cafe are Elisa Waingort, Jennifer Floyd, Krystin Beavers, Katy Collins, and Deborah Vichos. The five winners of a three-month online subscription to the CC Pensieve are Heidi Clark, Suzanne Scannell, Kathy Schuitema, MaryAnn Reilly, and Teri Cote. Vicki Meigs-Kahlenberg is donating a personalized, autographed copy of The Author’s Apprentice, Stenhouse Publishers. The winner is Caroline Gonzalez. Kate Roberts is donating a copy of DIY Literacy by Kate Roberts and Maggie Beattie Roberts. The winner is Tammy Stoker. Jennifer Serravallo is donating a signed copy of The Writing Strategies Book. The winner is Kristina Moore. Amy Ludwig Vanderwater is donating a copy of her book Everyday Birds to one winner and Forest Has a Song to a second winner. Every Day Birds goes to Lindsey Simmons. The winner of Forest Has a Song is Amelia Vigil. Janiel Wagstaff is donating a copy of her newest book We Can Do This: Student Written Mentor Texts that Teach and Inspire (K-2) coming out spring, 2017, from Stenhouse Publishers. The winner is Mandy Nabors. Lisa Corbett is donating a “teacher of writers” prize pack! A box of writing conference related goodies. (Post-its, pens, etc.) to one lucky winner. The winner is Kim Koehler. Emily Culbertson is donating a copy of 365 Days of Wonder: Mr. Browne’s Precepts by R.J. Palacio and an ideas@work journal to one winner. The winner is Jone MacCulloch. Sally Donnelly is donating one copy of 59 Reasons to Write by Kate Messner to one winner and one copy of Heart Maps by Georgia Heard to a second winner. The winner of 59 Reasons to Write is Sandy Wasserman. The winner of Heart Maps is Marilyn Minor. Aileen Hower is donating a Hershey’s Favorites Chocolate care package to one lucky chocolate lover. The winner is Maureen Cooper. Erika Victor is donating one copy of our own Stacey Shubitz’s newest book, Craft Moves: Lesson Sets for Teaching Writing with Mentor Texts. The winner is Susan Kennedy. As you may remember, we had three mid-month challenges. Those prizes were donated by Stenhouse Publishers, The Highlights Foundation, and our friends Clare Landrigan and Tammy Mulligan, authors of Assessment in Perspective. As previously announced, those winners were Fran Haley for the Stenhouse Publishers prize, Laurie Pandorf won the Highlights Foundation prize, and Leah Walpuck & Jennifer Kessler won the prize from Clare and Tammy. We hope you enjoyed watching your writerly life grow this past March. Even if you did not win a prize, I am hopeful that you feel the pride within yourself on a job well done. Go buy yourself a fancy pen and new notebook! I give you permission. Happy slicing on Tuesday’s each week. As you know, we have been taking our annual blogging vacation this past week but will return tomorrow, April 17th. Happy spring to all. Hooray! I am so excited to be a winner. I know this book will help me to be a better writer, so it will be well-used and much appreciated. Thank you all so much. Thank you for organizing this challenge. It was my first time participating but I will definitely be back next year. Thank you for a wonderful experience, inclusy in a supportive community and sagacious advice and feedback from other participants. Congrats to all! Such a great month of writing! Congratulations to everyone who will be receiving a tangible prize. Everyone’s a winner because they wrote last month! Many thanks to you, Betsy, for compiling this post and to Deb and Melanie who were also part of the prize team. This is a monumental undertaking! Thank you so much. It was a wonderful month of blogging. Thank you for all your hard work supporting and cheering on a community of writers. I’m so grateful to have had the opportunity to write again this year! Congrats to all! I agree with the others that what I learned from others was an amazing experience and THANK YOU to all who worked so hard to make this happen! Thank you again to everyone who made the challenge a rewarding experience. Thank you for the prize, but also for motivating me to write..,it was a great prize to realize how much I enjoyed it! Of course, it’s always nice to win a prize. But I am content with a) becoming friends with several new voices in this year’s challenge; b) reading the posts of familiar voices that always intrigue me; c) staying with the challenge for the whole month, sometimes due to the encouragement of other writers also struggling to find ideas and motivation to write every day. 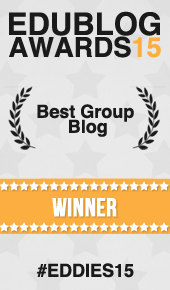 Congratulations to all the lucky winners, and to all my fellow bloggers who contributed to this March community of writers and made it so special once again. What a bonus to such a positive experience to win a prize! A big thank you to those who ran the challenge. Thank you so much! This year’s #SOL17 March Challenge was such a game changer for me. So excited and so many winners – I love that folks will donate to this March Challenge each year. A great commitment to writing and teachers. Thanks for all your work keeping this site going all year round! Enjoy Spring! A chance to write outside! Wow! That is some list. Thank you to everyone who helps to make this challenge possible. It was such a rewarding experience! Woo hoo! Writing’s the real reward, but these prizes are the confetti in the air! What an incredible list of prizes! I had no idea! Congratulations to all the prize winners! What a wonderful list of prizes! It was an amazing group to writers this month. Thanks again! Congratulations to all the lucky drawees! Thanks again for another wonderful challenge and for coordinating such wonderful prizes! I’m looking forward to checking out the digital library! Congratulations to all the winners! Yay! So excited! Thanks again to everyone who helped organize!